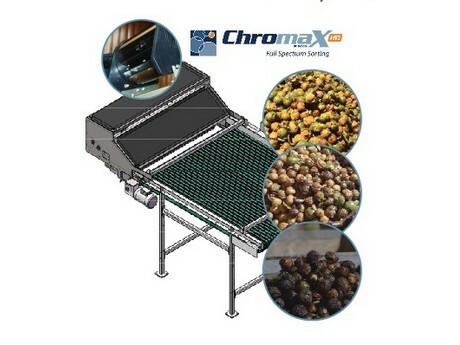 Demand for walnut sorting is growing | Packing and Sorting Equipment. Demand for walnut sorting is growing – read more about the advantages of using nut machines in the @FreshPlaza article. If you want to know more about walnut processing, please visit us at Fruit Attraction in Madrid, October 23-25 hall 8, 8E13A. With the looming possible labour shortages, walnut growers are more and more often looking implement automation solutions in their hulling and drying facilities. WECO Sorting is one of the leading global suppliers of walnut sorting and moisture metering technology. The company proposes comprehensive solutions, including a walnut color-sorter – WalnutTek. expenses”, explains Piotr Milewski from Milbor PMC which is representing WECO Sorting in Europe. Adjusting the nuts to the needs of the market and providing them with a suitable drying process is carried out by using the WECO Moisture Meter. 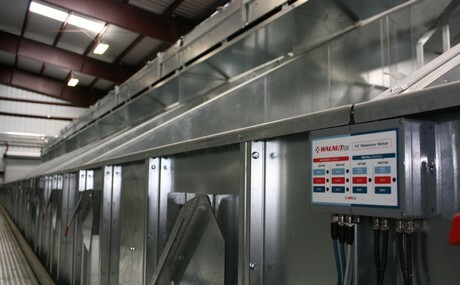 WECO proposes a wide range of options beyond simple moisture monitoring, including automation for air doors and fill gates. The use of appropriate systems allow to dry walnuts to a preset moisture limit saving energy and fuel while also preventing over-drying. WECO Sorting will be presented at the Fruit Attraction in Madrid, which will take place on 23-25 October, Hall 8 booth 8E13A. Besides its walnut offering, WECO Sorting will also present its machines dedicated to blueberry sorting.